Individual tips for the addiCLICK BAMBOO interchangeable needle system. Bamboo circular knitting needle tips made from the finest, natural, slow-grown bamboo. 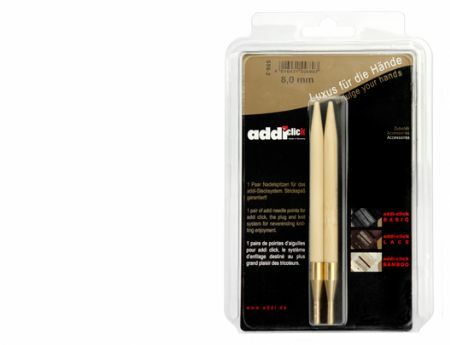 These needles have extremely smooth, hard tips and gold-coloured ends. Available in sizes from 3.5 mm to 12 mm.